Bolton is a hamlet and the third smallest parish in East Lothian, Scotland. It lies approximately 2 miles (3.2 km) south of Haddington and 20 miles (32 km) east of Edinburgh, and is an entirely agricultural parish, 6 miles (9.7 km) long by about 1.25 miles (2.01 km) wide. Chalmers' Caledonia states that "the most prominent objects which attract the antiquarian eye are the hills forts above Bolton of the earliest people. On Bolton Muir there had been an ancient camp in the field called "Chesters". In 1389 the feudal barony of Bolton was possessed by Sir John Haliburton of Dirleton. By the time of the Scottish Reformation the lands of Bolton had passed to John Hepburn of Bolton, a cadet of James Hepburn, 4th Earl of Bothwell. John Hepburn was involved in the plot to murder Henry Stuart, Lord Darnley and was executed for his complicity in 1568. The estate was forfeited and regranted to William Maitland of Lethington, in whose family it remained until 1696. Richard, Earl of Lauderdale, sold the barony of Bolton to Sir Thomas Livingston, who was created Viscount Teviot in 1696. 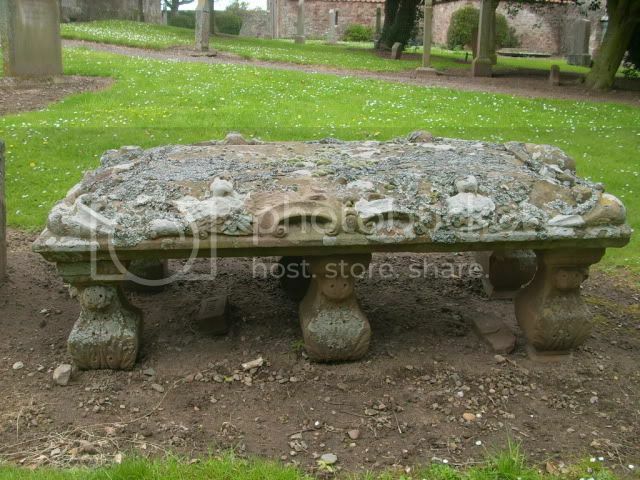 In 1702 he passed it to Lord Blantyre. The principal proprietors in 1890 were Lord Blantyre, the Marquess of Tweeddale, Lady Connemara, Lord Sinclair, John Fletcher of Saltoun, Mr Baird of Pilmore & Kirkland; and Alexander Charles Stuart of Eaglescairnie, whose father had been commander of the army in Scotland, and Governor of Maltain 1841. Eaglescairnie was for centuries a residence of the Haliburtons. 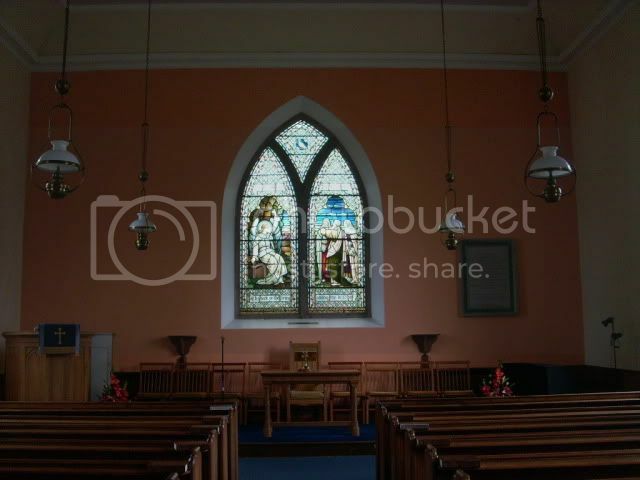 Bolton Parish Church is a church in Bolton, East Lothian, Scotland. 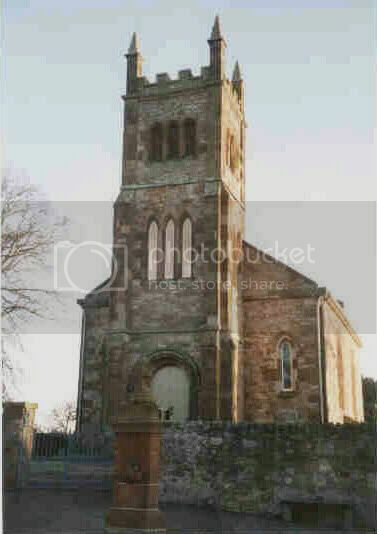 It is part of the Church of Scotland and (along with Saltoun Parish Church) serves the parish of Bolton and Saltoun. The earliest church at Bolton was erected in around 1240. It was placed under the superiority of the Canons of Holyrood Abbey in Edinburgh, and remained so for the next three hundred years. By 1804 the church had fallen into disrepair and the heritors agreed that something must be done. In January 1805 the heritors met and decided that a new church should be built instead of repairing the old one, and that the new church should be capable of containing 250 people. By the end of 1809 the new church was built. In 1930 the pulpit was moved to its present position at the side of the East window, the choir was removed and other changes were made. 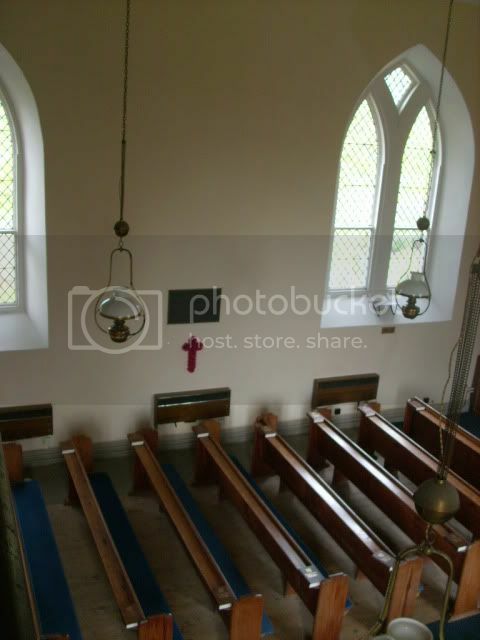 In 1957 a central aisle was introduced and this further reduced the seating. 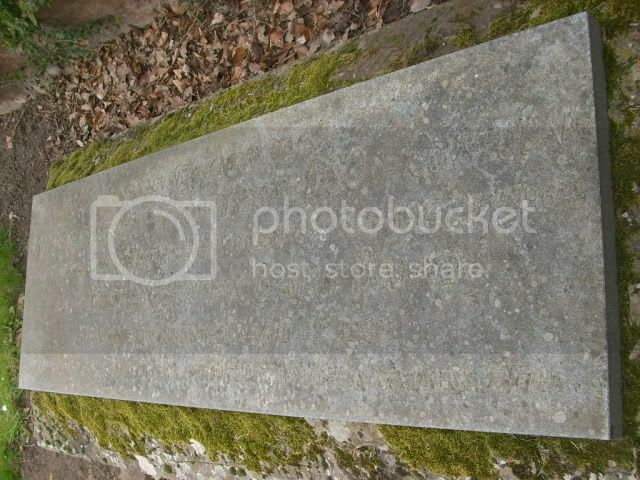 In the church porch is a Victorian "graveguard", a contrivance designed to thwart body-snatchers who sought to steal from the graveyard newly buried corpses for sale to the medical schools in Edinburgh. The graveguard and its accessories are on display in the church porch. 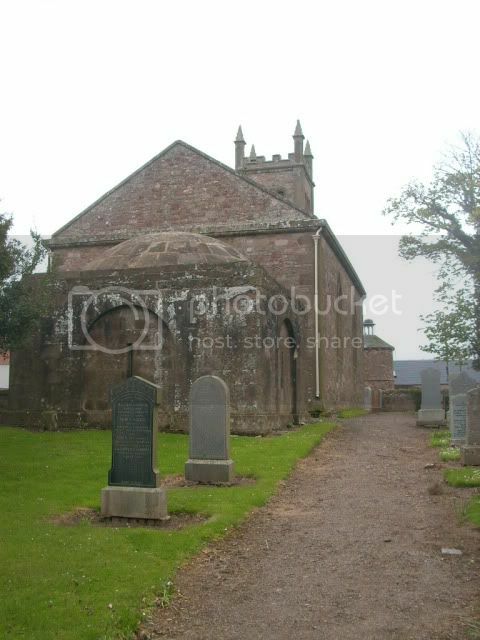 Buried under the church's aisles are the Lords Blantyre and the Stuarts of Eaglescairnie. Robert Burns mother is also buried here. A notable possession of Bolton Church is the Bolton Hearse, a horse-drawn vehicle believed to be the earliest surviving piece of Scottish coachwork still in existence. The hearse is kept in the Museum of Antiquities in Edinburgh. 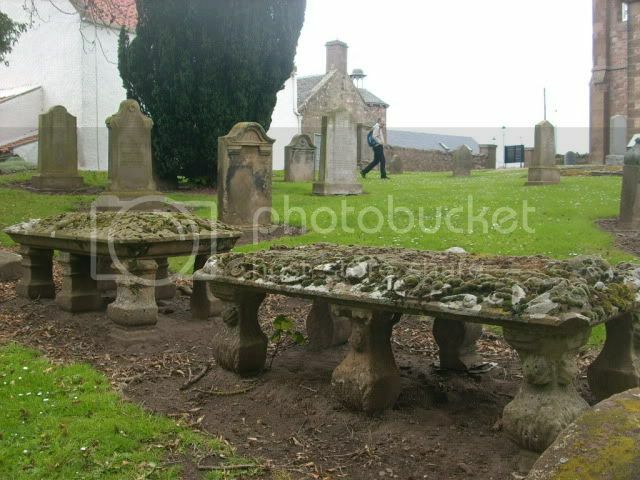 Robert Burns mothers grave can be seen, surrounded by metal railings in the middle of this photo. The square building with domed roof is the "Stuart Mausoleum"
Grave/Memorial Reference: II. D. 11. 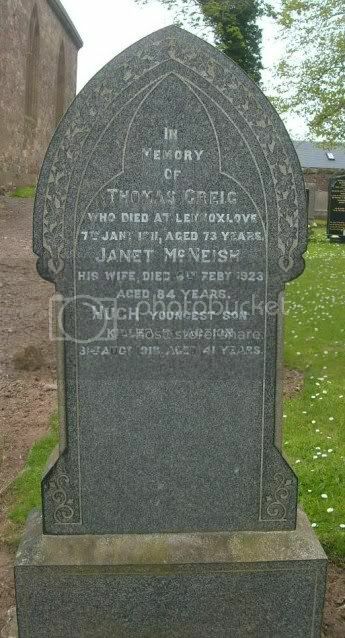 In memory of Thomas Greig who died at Lennoxlove 7th Jan 1911 aged 73 Janet McNeish his wife died 6th Feb 1923 aged 84 Hugh their youngest son Killed in Action 31st Aug 1918 aged 41. Additional information: M.A. 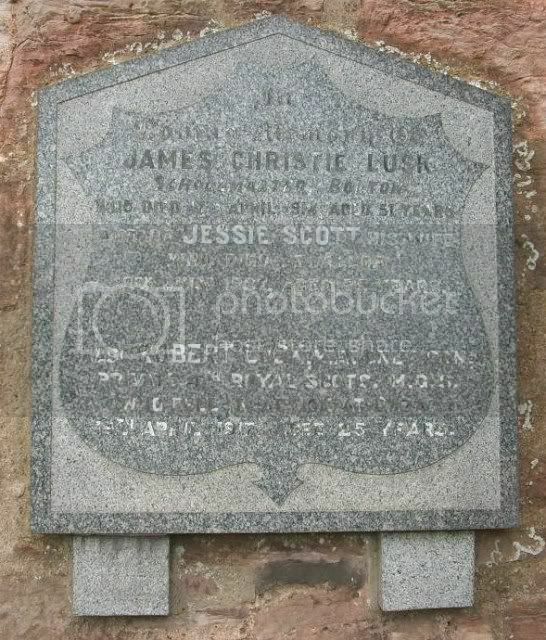 Son of James C. and Jessie S. Lusk, of Bolton Schoolhouse, Haddington, East Lothian. Born at Kinlochewe, Ross-shire. Grave/Memorial Reference: VIII. D. 16. 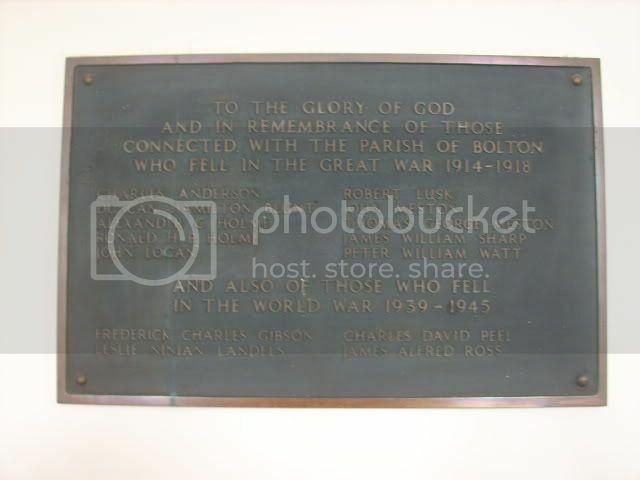 In loving memory of James Christie Lusk Schoolmaster Bolton who died 17th April 1914 aged 51 and of Jessie Scott his wife who died at Alloa 12th July 1937 aged 75 also Robert Lusk MA only son, Pte 4th Royal Scots M.G.C who fell in Action at Gazza 19th April 1917 aged 25. He is remembered on the Bolton War Memorial at the church gates and the one inside the church. According to the Bolton war records of 1914-1918 he served 29th Nov 1915 - April 1917 in Egypt and Palestine. He was in Egypt from July 1916 and took part in the fighting at Romani and Gazza. He was reported as wounded and missing, subsequently KIA 19th April 1917 and buried at Military Cemetery Gazza. 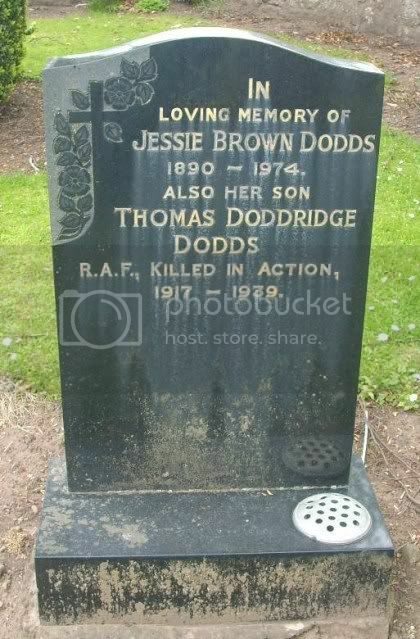 Additional information: Son of Thomas and Jessie Dodds, of Leith, Edinburgh. Frederick Charles Gibson, Leslie Ninian Landels, Charles David Peel, James Alfred Ross. 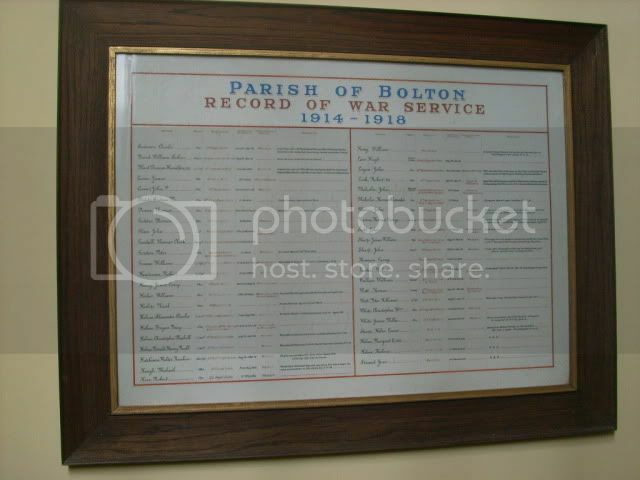 The Bolton Parish Record of War Service 1914-1918. I have got a copy of all the details in this record should any one require them. 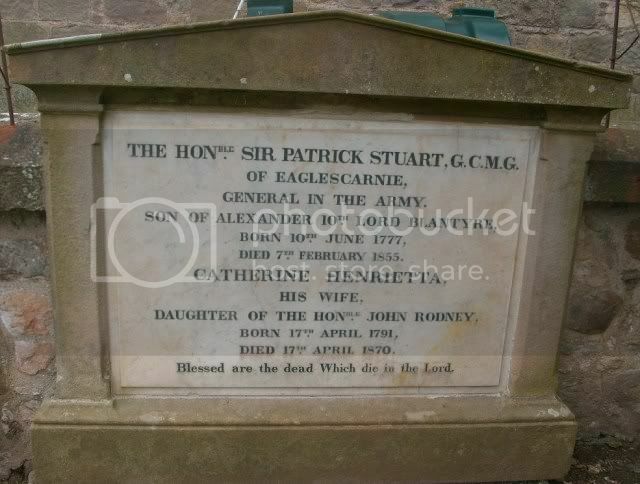 The Honble Sir Patrick Stuart GCMG of Eaglescarnie, General in the Army son of alexander 10th Lord Blantyre born 10th June 1777 died 7th Feb 1855. Catherine Henrietta his wife daughter of the Honble John Rodney born 17th April 1791 died 17th April 1870. General Hon. Sir Patrick Stuart married Catherine Henrietta Rodney, daughter of Captain Hon. John Rodney and Catherine Nugent on 20th July 1810. He was the son of Alexander Stuart, 10th Lord Blantyre and Catharine Lindsey. Sir Patrick stuart was invested as a Knight Grand Cross, Order of St Michael and St George (GCMG). Alexander Charles Stuart born 29th April 1814. He married Hon Elizabeth Frederica Lennox daughter of Lt.Col Lord John George Lennox and Louisa Fredericka Rodney on 12th Nov 1850, he died on 25th Nov 1897. He lived at Eaglescairnie, East Lothian. Louisa Stuart born 15th Oct 1815, married The Right Rev George Tomlinson DD, Lord Bishop of Gibraltar. She died on 15th Sept 1850. Jane Frances Stuart born 21July 1822, died 13th Nov 1892, she married Admiral Hon. Geroge Gray, son of Charles Grey, 2nd Earl Grey and Hon Mary elizabeth Ponsonby on 20th Jan 1845. She had 11 children, 6 males and 5 females. George Stuart born 21st June 1825, died 5th Sept 1898. Emily Henrietta Stuart born 6 June 1828, died 16 Jan 1918. 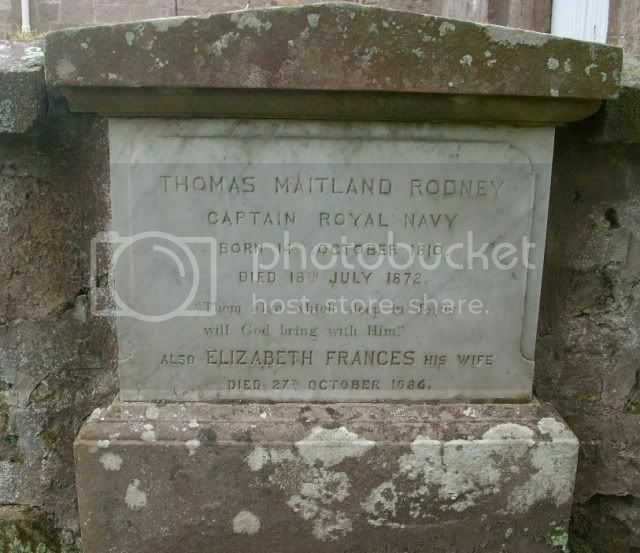 Thomas Maitland Rodney, Captain Royal Navy born 14th Oct 1810 died 18th July 1872 also Elizabeth Frances his wife died 27th Oct 1886. He entered the Navy on 5th Feb 1824 aged 13 and had reached the rank of Commander in 1846 aged 36. In loving memory of Major Sir Humhrey Broun Lindsay DSO of Colstoun, Kings Own Scottish Borderers born Oct 23rd 1888 died June 23rd 1964 and Lady Edith Christian Broun Baird born June 13th 1893 died April 4th 1981. Sir Humphrey George Maurice Broun-Lindsay was born on 23 October 1888. He was the son of Alfred Lindsay and Isabel Katherine Northcote. He married Edith Christian Broun Baird, daughter of John George Alexander Baird (see entry below), on 26 July 1921, when his name was legally changed to Humphrey George Maurice Broun-Lindsay. He died on 23 June 1964 at age 75. Sir Humphrey George Maurice Broun-Lindsay was baptised with the name of Humphrey George Maurice Lindsay. He was educated at Cheltenham College, Cheltenham, Gloucestershire, England. He gained the rank of Major in the service of the King's Own Scottish Borderes. He fought in the First World War between 1918 and 1919, in France and Italy. He was decorated with the award of Companion, Distinguished Service Order (D.S.O.) in 1919. He held the office of Justice of the Peace (J.P.) for East Lothian. He was admitted to Member of the Royal Company of Archers. He held the office of Deputy Lieutenant (D.L.) of East Lothian. He was also a MP for Partick for the Unionist Party (Scotland) between 1924 and 1949. He was invested as a Knight in 1947. He held the office of Vice-Lord-Lieutenant of East Lothian between 1949 and 1964. He was sometimes simply known as George Lindsay. He had a son called Colin George Broun Lindsay, b. 4 Nov 1926, d. 1989. He married Beatrice Marie-Therese Ferdinande Yvonne Ghislaine d'Ursel, Comtesse d'Ursel, daughter of Conrad Marie Joseph Gaspard Melchior Baltasar d'Ursel, Comte d'Ursel, on 4 August 1952. He was educated at Eton College, Eton, Berkshire, England. He gained the rank of Captain in the service of the Grenadier Guards, and the rank of Captain in the service of the Lothians and Border Horse (Territorial Army). 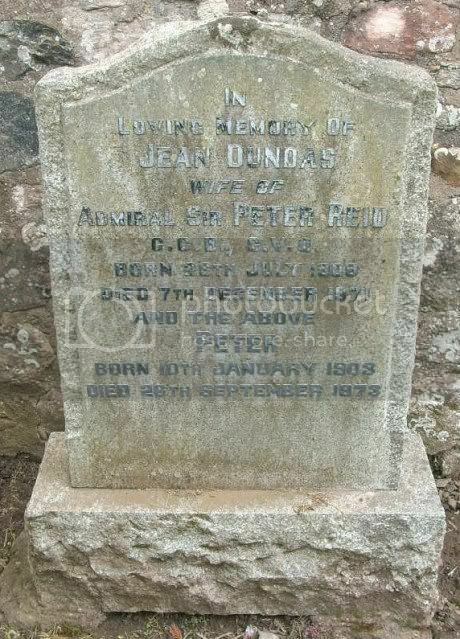 In loving memory of Jean Dundas wife of Admiral Sir Peter Reid GCB, CVO born 26th July 1909 died 7th Dec 1871 and the above Peter born 10th Jan 1903 died 26th Sept 1973. Admiral Sir John Peter Lorne Reid GCB CVO was born on 10 January 1903. He was the son of Sir James Reid, 1st Bt. and Hon. Susan Baring. He married Jean Dundas, daughter of Sir Henry Herbert Philip Dundas of Arniston, 3rd Bt. and Lady Beatrix Douglas-Home, on 19 April 1933. They have a son and a daughter. He joined the Royal Navy as a cadet in 1916.He served in World War II in operations off Norway and then off Algeria before taking part in the Battle of Cape Matapan in 1941. He was Chief Signal Officer to Field Marshal Lord Wavell during defence of the East Indies in 1941 and then served on the staff of Sir James Somerville, Commander-in-Chief, Eastern Fleet, in 1942 before becoming Deputy Director of the Signals Division in 1943. After the War he commanded HMS Dido and then HMS Cleopatra. He was appointed Chief of Staff to the Commander-in-Chief, Portsmouth in 1951 and Second in Command of the Mediterranean Fleet in 1954. His last appointment was as Controller of the Navy in 1956 before he retired in 1961. He lived in Bolton in East Lothian and in retirement was a Member of the Livingston New Town Corporation. 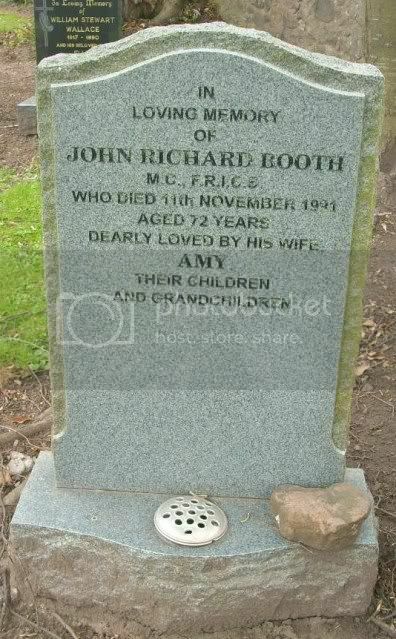 In loving memory of John Richard Booth MC, FRICS who died 11th Nov 1991 aged 72 dealy loved by his wife Amy, their children and grandchildren. 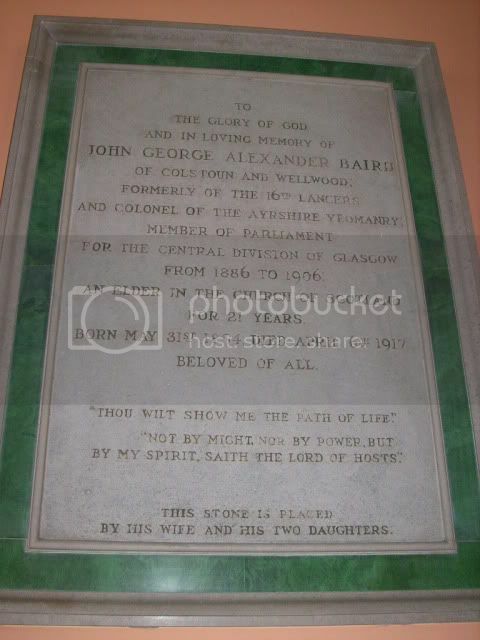 To the Glory of God and in loving memory of John George Alexander Baird of Colstoun and Wellwood, formerly of the 16th Lancers and Colonel of the Ayrshire Yeomanry, Member of Parliment for Central Division of Glasgow from 1886 to 1906, an elder in the Church of Scoltland for 21 years, born May 31st 1854 died April 6th 1917. Beloved by all. "Thou wilt show me the path of light"
"Not by might, nor by power but by my Spirit, saith the Lord of Hosts"
This stone is placed by his wife and 2 daughters. He is the son of William Baird of Gartsherrie, and his wife Janet Johnston and was born at Rosemount, Ayrshire, 31st May, 1854. He was educated at Eton and Christ Church and in 1877 he joined the 6th Dragoon Guards, and six months later transferred to the 16th Lancers; and though he left the army in 1882, he still took an interest in military matters as commandant of the Ayrshire Imperial Yeomanry. On 10 Nov 1881 he married Susan Georgiana Fergusson (d 13 July 1951), daugter of Right Hon. Sir James Fergusson, 6th Bt . In 1885 he made his first appeal to a constituency by contesting the Central Division of Glasgow against Mr. Gilbert Beith, and though he was unsuccessful, the split created in the Liberal party by Mr. Gladstone's Home Rule Bill gave him another opportunity in the following year, when he was returned by a majority of 1356. Afterwards, without other interruption than an occasional contest, he continued to hold the seat until the General Election of 1906. Among the causes which he has championed have been those of Private Bill legislation for Scotland and improvement in the conditions of workmen. He takes a strong interest also in the public and charitable movements in Glasgow. He is a J.P. and D.L. for the counties of Glasgow and Ayr. Mary Janet Broun, who married in 1925 to Richard Alexis Downing Fullerton (born 1893). They lived at Ware, Lyme-Regis and had a son, Peter Fullerton. To the Glory of God and in loving memory of Charles Stuart, 12th Lord Blantyre who was laid to rest beside this church Dec 1900 and of Evelyn, Lady Blantyre who died and was buried at Nice 1869. 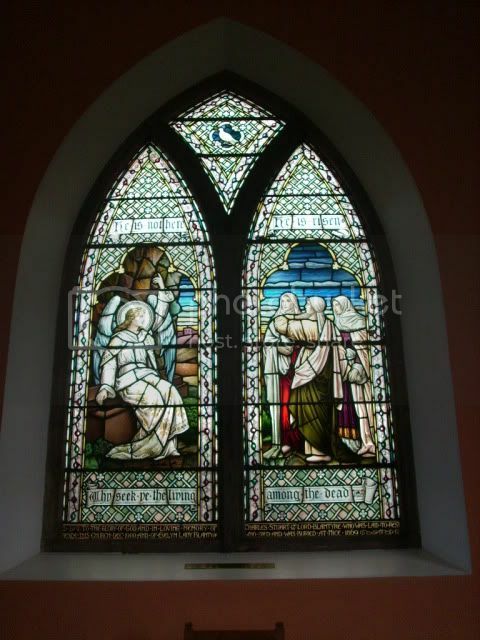 This window is presented to Bolton church in loving remembrance by their daughters Ellen Baird and Gertrude Gladstone 1906. Charles Walter Stuart, 12th Lord Blantyre was born 21 Dec 1818and died 15 Dec 1900. He married on 4 Oct 1843 to Lady Evelyn Leveson-Gower who was born 8 Aug 1825 and died 24 Nov 1869. She was the 2nd daughter of George Granville [Leveson-Gower], 2nd Duke of Sutherland, by his wife Lady Harriet Elizabeth Georgiana Howard, who was the 3rd daughter of George Howard, 6th Earl of Carlisle. On the death of the 12th Lord Blantyre the Lordship of Blantyre became extinct. 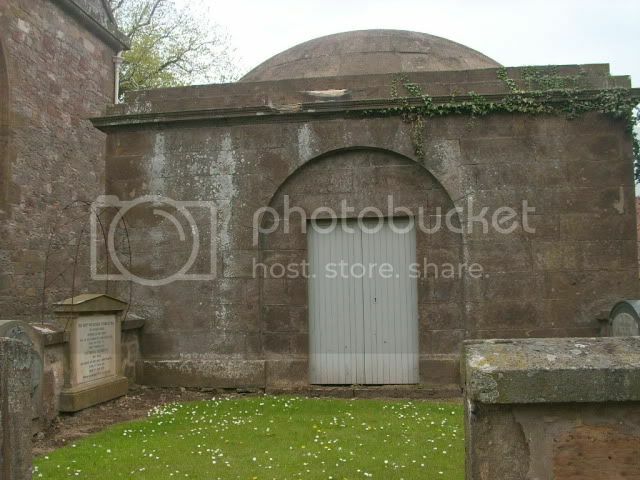 There are several generations of "Stuart" (Lord Blantyre) Family burials within the Mausoleum. Some I have already covered in previous posts. I thought it worth while to include tham at the end of grave entries. I do not have photographs of the coffins or the inscriptions but I have obtained a copy of what is written on the coffins and plaques within the Mausoleum. Margaret, Wife of Robert 7th Lord Blantyre, daughter of Hon. William Hay of Drummelzier died 13 Dec 1782 aged 84 also their daughters Hon. Marion Stuart died 27th Nov 1780 aged 45 and Hon. Margaret Stuart died 4 June 1794 aged 62. 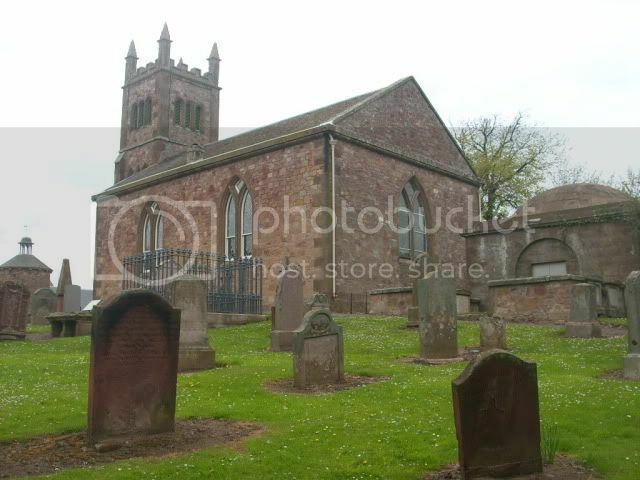 Robert Stuart, 7th Lord Blantyre, died on 17 Nov 1743 and is buried at Blantyre. He married twice. Hon Alexander Stuart, Master of Blantyre, who died young. He married for a second time to Margaret Hay (b. c. 1697; d. 13 Dec 1782), the daughter of Hon William Hay of Drummelzier (by his wife Hon Elizabeth Seton, the only surving daugter of Alexander Seton, 1st Viscount of Kingston and his 2nd wife, the only child of John Hay, 1st Earl of Tweeddale, and his second wife Lady Margaret Montgomerie who was the 1st daughter of Alexander Seton (later Montgomerie), 6th Earl of Eglinton and his 1st wife. Robert and Margaret had 10 children. Hon Helen Stuart, married on 1 Apr 1755 to Oliver Colt of Auldhame, they had children. Robert Walter Stuart, 11th Lord Blantyre, Major-Gen in the Army, served in Holland and in Peninsular War. Born 26 Dec 1775 accidentally killed in Brussels during the revolution on the 23rd Sept 1830 aged 54. His remains were brought from Brussels and laid here. This tablet is placed in loving memory by his wife Fanny Mary, daughter of The Hon. John Rodney born 20 July 1792 died 19 Nov 1875. The Right Hon. Robert Walter, Lord Blantyre born 26 Dec 1775 died at brussels 23 Sept 1830. Fanny Mary, Dow. Lady Blantyre born 26 July 1792 died 19 Nov 1875. Hon Caroline Stuart (b. 30 Jun 1830; d. 6 Oct 1911), married on 12 Aug 1850 to John Charles Grant [later Ogilvy-Grant], 7th Earl of Seafield, and they had children. Hon. James Stuart, Lieut.Col in the Army, Major in the Rifle Brigade in which Regiment he served with distinction throughout the Crimean War. Born 28 July 1827 died 11 April 1870. Hon. Walter Rodney Stuart born 16 July 1826 died 13 Sept 1838. Sons of Robert Walter, 11th Lord Balantyne and Fanny Mary Rodney his wife. 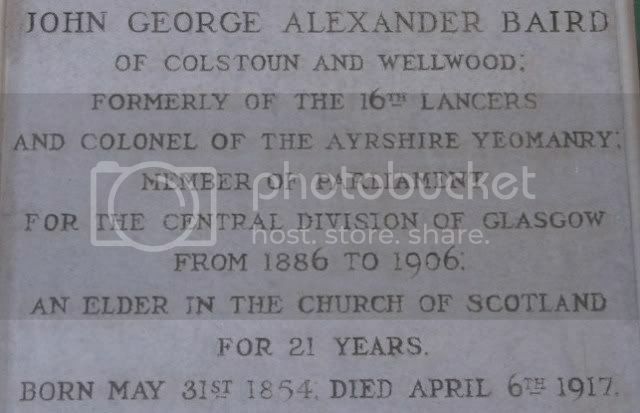 Alexander, 10th Lord Blantyre born 7 March 1731 died 5 Nov 1783 also Katherine his wife, daughter of Partick Lindsey Esq of Eaglescairnie born 7 Jan 1751 died 29 Dec 1822. The Right Hon. Alexander, Lord Blantyre died 5 Nov 1783 aged 52. The Right Hon. Katherine, Lady Blantyre died 29 Dec 1822 aged 71. Alexander Stuart, 10th Lord Blantyre was born 7th March 1731, died 5th Nov 1783. He married on 23 Jul 1773 to Catherine Lindsay (d. 29 Dec 1822), 1st daughter of Patrick Lindsay of Eaglescairnie and his wife Margaret Haliburton, daughter of Thomas Haliburton of Eaglescairnie. Hon Margaret Stuart (b. 16 Aug 1774; d. 20 Oct 1839), married on 5 Oct 1809 to Rev Dr Andrew Stewart, Minister of Bolton and later of Erskine (b. c. 1770; d. 26 Dec 1838), and they had children. The Right Hon. Charles 12th Lord Blantyre born 21 Dec 1818 died 15 Dec 1900. Hon. 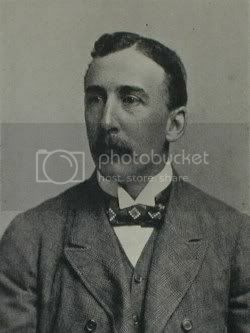 Walter Stuart, Master of Blantyre, only son of Charles, 12th Lord Blantyre born 17 July 1851 died 15 March 1895. Old stones within the churhyard. 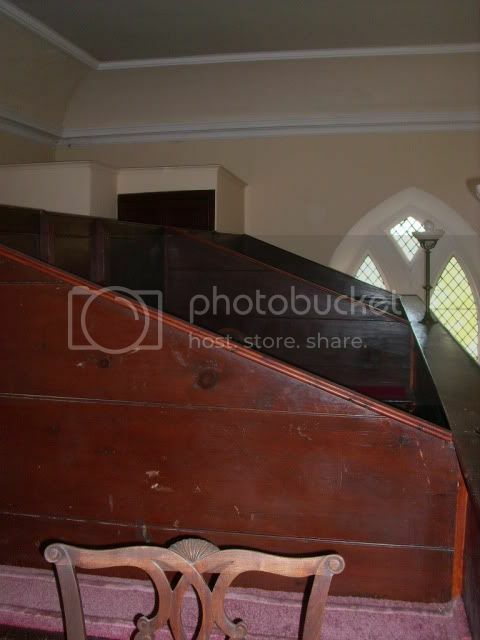 The upper balcony is unusually partitioned.